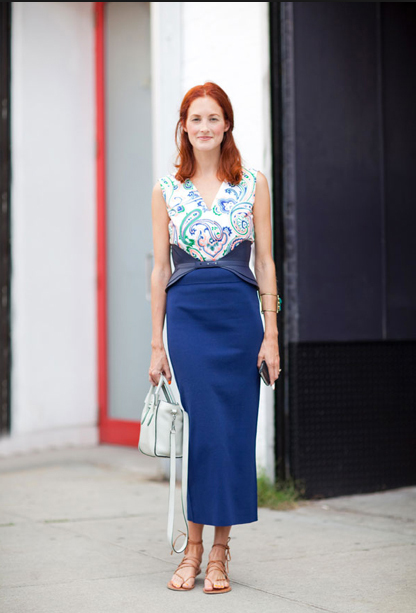 Unlike me, Moda Operandi creative director Taylor Tomasi Hill is an equal opportunity employer of accessories, utilizing everything from jewelry to bags to sunglasses to chic outfit-making effect. But what's particularly noteworthy is her allegiance to belts (as demonstrated in the pics above and below)--an accessory that's usually an afterthought in my book. Clearly, I am going to have to rectify this and I may just start by adding some of these versatile waist-cinchers from McQ Alexander McQueen (very TTH-edgy), Club Monaco (studded and double wrap), Asos (for slinky dresses), and BCBG (Alaia-ish, but under $100!) to my styling arsenal. please tell us about the gold bracelet in the first photo!! TTH is a belter, that's for sure. For me it's often those finishing touches to her looks that really make them go bang. How striking and chic she is.... love that bracelet in the first photo too!